Economic justice. Peace and non-violence. A deeply rooted commitment to the human spirit. All these words describe Cesar Chavez, one of the greatest “wisdom voices” to have lived during my lifetime. When it came time to write Wisdom of Progressive Voices, there was no question that Chavez would be included. 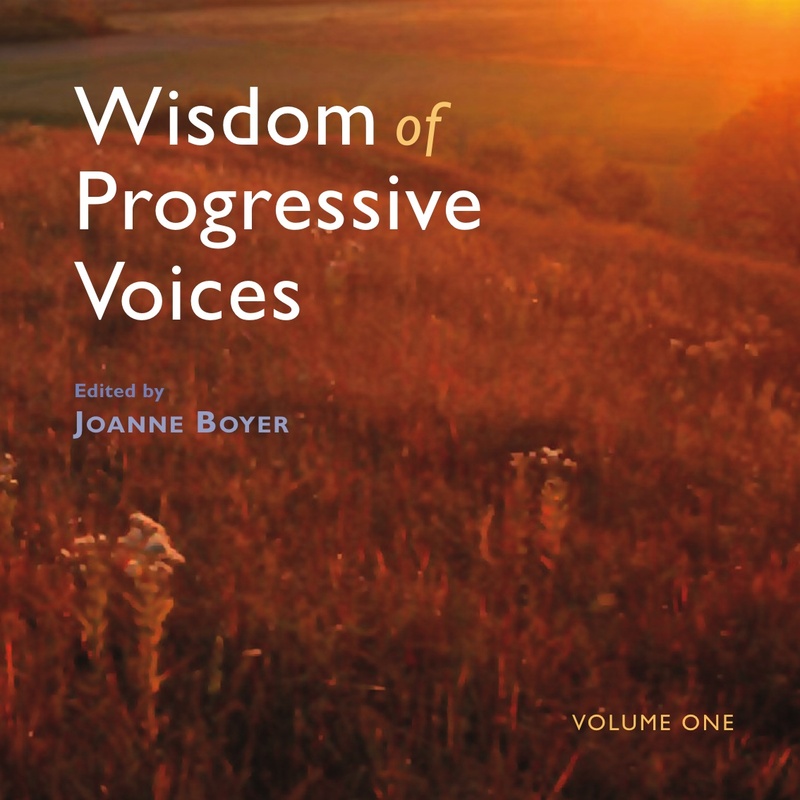 One of the main focal points for producing that book was to help us recall the great progressives who helped to shape a world designed around something other than money, power, and greed. When we fail to tell the stories of our great progressive past, we lose the heart and soul of who we are as a people and as a country. It is with great delight that we welcome Director Diego Luna’s movie “Cesar Chavez” to be released this Friday, March 28, just days before Chavez’ birthday on March 31. My youth was shaped in the 1960s and therefore the names of Chavez, King, and Bobby Kennedy dominated the headlines as they led marches, protests, boycotts, and campaigns focused on equality, justice, and non-violence. How and why those topics have disappeared from our national consciousness and conversations is a travesty. Our hope is that this movie sparks a reminder that we as a people can be called to think outside of ourselves and to remember we are all part of the human race. None of us is more than or less than; we are one of. Cesar Chavez dedicated his life to the struggle for economic and social justice. The son of migrant laborers, Cesar Chavez was a fervent activist for migrant laborer rights and founded the National Farm Workers Association (NFWA) and later the United Farm Workers (UFW). He led a five-year non-violent boycott against California grape growers, protesting poor working conditions and the use of pesticides harmful to farm workers. Chavez was entirely self-educated. An avid reader, he was influenced especially by Mahatma Gandhi’s autobiography and, although a radical activist, Chavez adopted a philosophy of nonviolence which fit well with his deep Catholic roots. Growing up as migrant worker during the depression, Chavez experienced some of the worst America had to offer to poor minorities. In September 1965, Chavez’s NFWA, with 1200 member families, joined an AFL-CIO sponsored union in a strike against major Delano, California-area table and wine grape growers. Against great odds, Chavez led a successful five-year strike and boycott that rallied millions of supporters to the UFW. His commitment to nonviolence was demonstrated in 1968, when, in order to avert violence in the grape strike, he went on a 25-day hunger strike that was broken at an outdoor Mass that drew thousands, including Senator Robert F. Kennedy. In recognition of his nonviolent activism and support of working people, Chavez was awarded the Presidential Medal of Freedom posthumously in 1994. Chavez served in the U.S. Navy during World War II in the Pacific theater. After his discharge, he became active in community organizing concentrating on voter registration, citizenship classes, and helping Mexican-American communities obtain needed facilities in the barrios. His organizing and commitment to some of the poorest workers in the U.S. continued after the grape boycotts of the 1960s. In 1976, he led the UFW through a major reorganization, intended to improve efficiency and outreach. 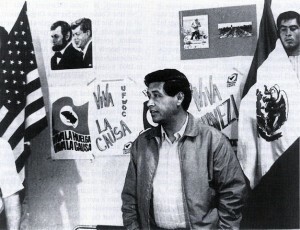 In 1984 in response to the grape industry’s refusal to control the use of pesticides on its crops, Chavez inaugurated an international boycott of table grapes. The fight continued until his death in 1993. After testifying in a court case, near his hometown in Arizona, against a large California iceberg lettuce corporation, Chavez retired for the evening at a friend’s house. Chavez died in his sleep. Following are a few reminders of his great words and even stronger reminder to tell our progressive history lest we forget. This entry was posted in Democracy, Labor, Peace, Thoughts on Life. Bookmark the permalink.